We are an award-winning Gastropub serving locally sourced food and fine ale. We welcome dogs into our cosy lounge with a real fire. There is ample room for dog-owners to enjoy a drink or meal from our restaurant menu. We welcome dogs into the bar where food is served (restaurant or bar menu). We also have a dog friendly room available if you would like to stay. Dogs must be well behaved, house trained and if staying in our room you must not allow the dog on to the beds or other soft furnishings. 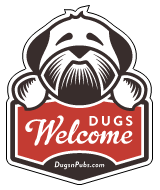 There are a total of 35 dog friendly listings in the Aberdeenshire Pubs category. Please log in, or sign up as a member to view all listings.